Want to Save Money in 2017? Buy Used! It’s a new year, a new you, and time for a change in your life. What better way than to treat yourself to something new – or old? New isn’t always better, sometimes it’s the classics or the wisdom of experience that get you through a rough spot. Maybe this is the year to do some soul searching, and possibly the best way to do that is to hit the open road. A few weeks back before 2016 ended (finally!) we discussed a few ways you can make 2017 better by exploring the world around you and trying new things. The catch is to get out there and expand your horizons you need to travel. One of the easiest and cheapest ways is to travel by car, and if you can bring some friends along, the shared price of meals, a roof for the night, and gas will definitely help. We also wanted to give Millennials advice on car shopping. It can get a little tricky, and without knowing what you want, you can end up with something lousy. The best way to find a good car is to do your research. To make things easier, it’s a smart move to shop within a budget and shop around for a used car. Why shell out 10 grand when there are plenty of great cars that still work perfectly fine? Plus, saving money isn’t the only benefit, though it’s definitely one of the big ones. When we say everything, we mean everything. When shopping for a used car, everything from the price tag to the fees that follow drop a couple digits. Used cars will always be a fraction of the price they were when new. They say a car loses value once it drives off the lot — so there’s that. Some of the value lost is because the car has been purchased and it will never be “new” again, and a car continues to lose value over time after a couple years. A car worth $50,000 can decrease by half depending on its condition. Along with the price tag, sales tax, “new car fees”, dealer fees, and registration fees all get reduced when buying used. When it comes to selling cars, the state the vehicle is purchased in wants a cut. So, sales tax is applied to new cars so the dealership still makes a profit and can pay off the state. Depending on your state laws, that may not be an issue with a used car. When buying a new car from a dealership, a lot of hidden fees are included — it’s just business, but stuff like shipping charges, destination fees, and car prep are added to the final bill. When it comes to a used vehicle, the dealership just wants to get it off the lot. Why charge someone more than the car is worth? Plus, since it’s a used car, most of those fees were covered by the previous owner. Then there’s registration fees. When buying a car, new or used, the driver needs to have vehicle registration on hand. When pulled over, cops asks for drivers license and vehicle registration; not having either could land you in jail or at least detained. Then you’ll really be paying some fees. When it comes to registering a used car, the annual fee changes from state-to-state. In Florida, registering a new car costs $225 plus regular fees; a used car will shed the $225, but still needs to pay regular registration fees based on vehicle type, weight, and dimensions. When it comes to owning a new car, that first scratch is always the worst. It’s like a part of you just died a little. Over the years, mileage goes up, there’s wear and tear, and soon it costs hundreds or thousands of dollars to get it back into shape. When that happens, drivers either cash out to bump up its resale value or get rid of the vehicle all together. We can’t count the times we’ve seen a vehicle left on the road with a “For Sale” sign. Now, we’re not saying buying a random car off the road is a good idea, no way. What we are saying is that all cars depreciate in value with time. 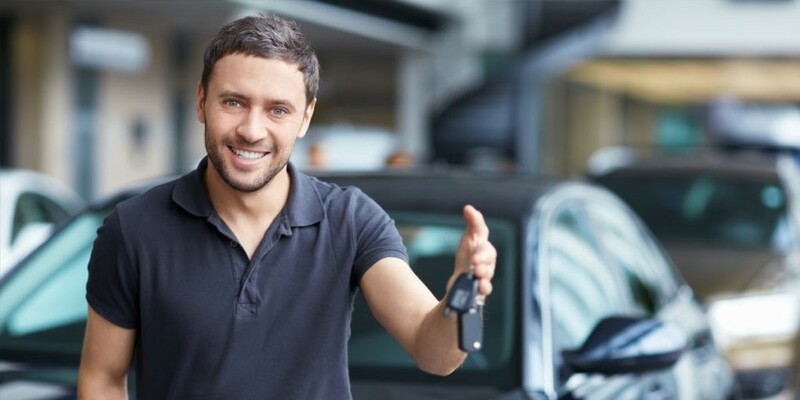 When buying a used car, drivers don’t need to worry about the car’s value dropping because chances are it’s as low as it can get when purchased. Not only does that reduce the price but it also reduces mental stress. No need to worry about scratches and dings, they’re already there. Most dealerships tend to spruce up a car to regain some of its original value. We’re also pretty sure it would be a bad business practice or unethical to sell a car that’s practically falling apart. In addition to that, there’s Certification Programs that dealerships will run a used car through to make sure it’s in good condition before selling it. Surely you’ve passed by a dealership and saw the big “Certified” signs in a used car lot before. What it means is those vehicles have gone through rigid inspections of the mechanics and cosmetics to make sure everything’s in tip-top shape. It may cost a little more than a standard used car, but a certified-used car is practically a guarantee you’re not buying junk. Plus, certified used cars normally come with a warranty, so that’s always helpful in case all that wear and tear was one tear away from a new set of tires or what-have-you. This is probably the best part second to the low price. When it comes to buying a used car there will always be a variety and plenty of choices to choose from. Say you want a Jeep but don’t want to pay the high prices Jeep is notorious for. Buy it used. What if you’re looking for an old classic to spruce up and tour the world with. Depending on where you shop, you can find it at a decent price. Whenever a dealership has used cars on the lot, there’s more than just the brands they represent. Just because a dealership primarily deals with Dodge or Mitsubishi doesn’t mean a used Mazda or Toyota isn’t hanging out in the back. So be sure to look around wherever you shop. Chances are you can find something you want, and at a decent price. 0 comment(s) so far on Want to Save Money in 2017? Buy Used!